Great list. This is a big year for the organization's prospects, with many of the higher-end prospects moving on to the next level of competition. 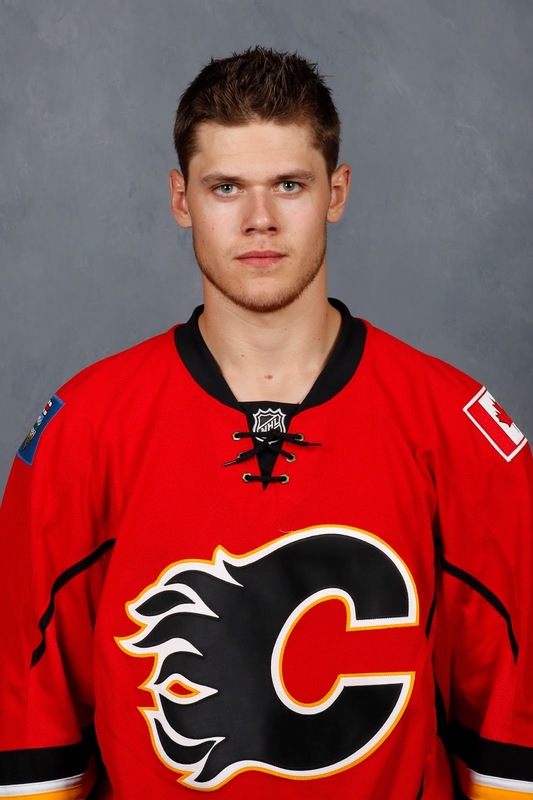 We'll know a lot more in 6 months which players (those in the top 10 in particular) will be pushing for jobs in 2017, which in my mind is when the Flames' window to compete really opens. I think you're bang-on with the 'window to win' and you're right, there will be movement. Who will surprise? Who will disappoint? If only we knew that now. Looking forward to next season getting going! Thanks for the note. Great read. I'm surprised Phillips didn't get an honourable mention though. He was right there in the discussion, for sure. 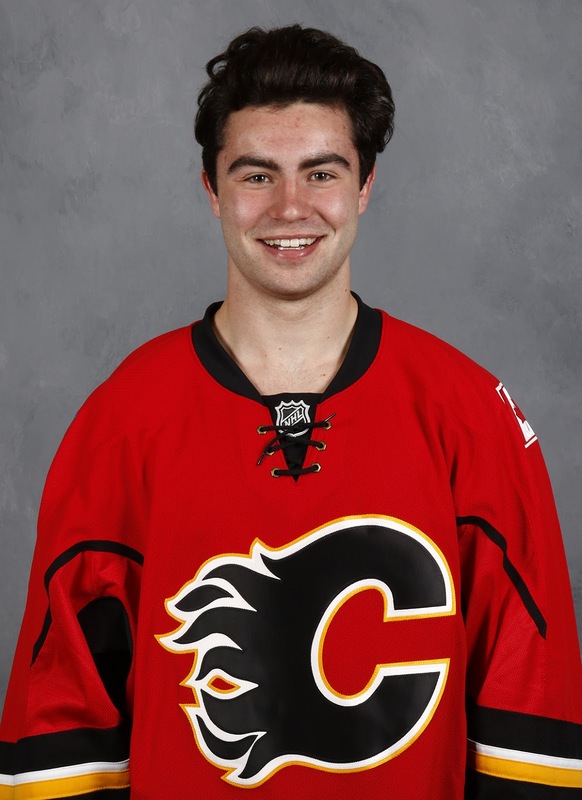 I gave him lots of love in development camp and I'm pulling for him because he's a local kid, played out of the same rink as my kid, the odds are stacked against him due to his size, plus he's an entertaining player, for sure. Wouldn't surprise me if he pops up on this list in January but for now, given he went so late in the draft and this is knowing how effective Gaudreau has been as a 'small guy', it seems that every GM around the league says he won't make it. 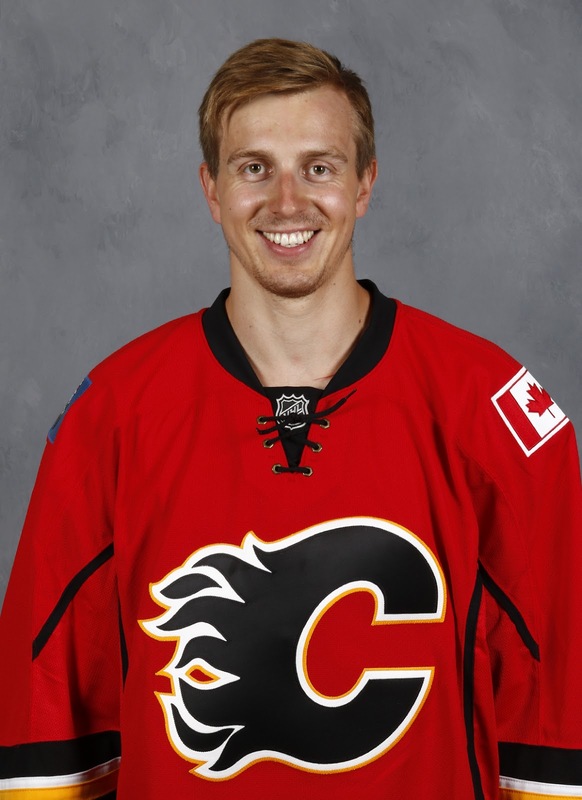 So I'm going to temper the expectations for now but if he torches the WHL again next season, let's get him on there somewhere! 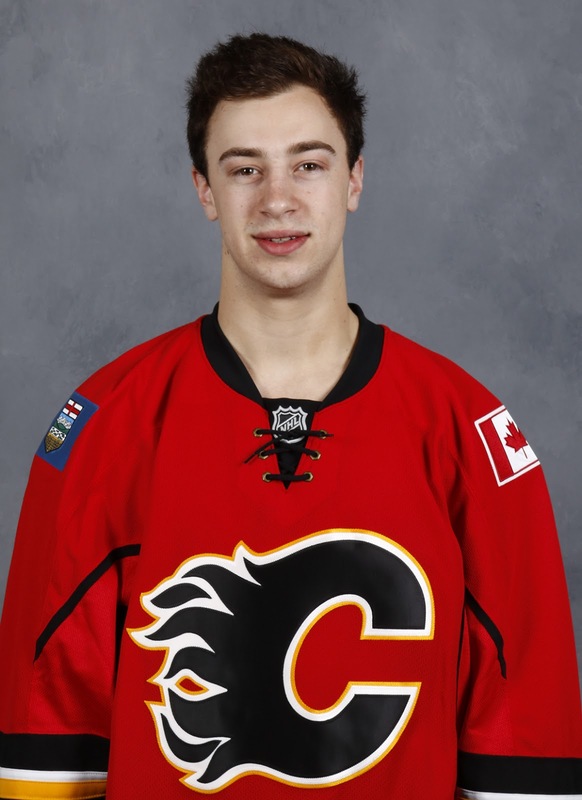 I am hoping Andrew Mangiapane gives the Flames' brass something to think about during training camp. I really like the kid. 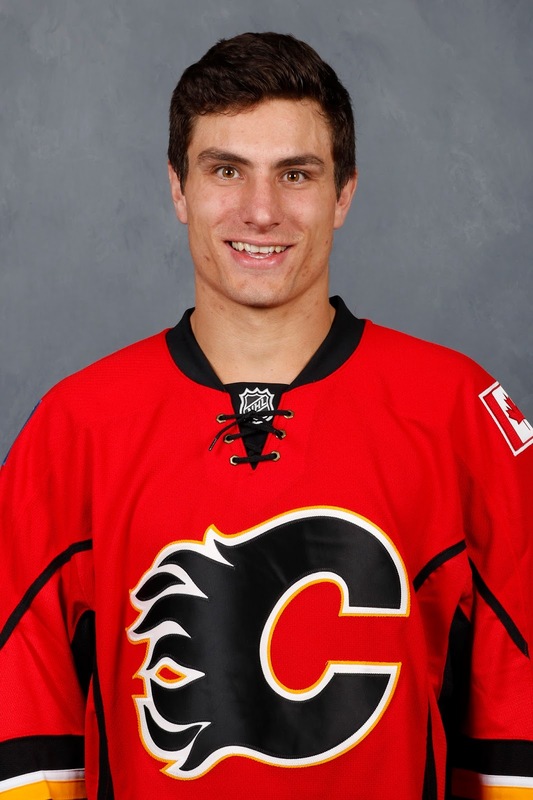 Wasn't that long ago he went undrafted in the OHL's bantam draft. It's bit quite a trajectory. He needs to play at the next level and there is zero reason to rush him past that level (the AHL) to get him to the NHL this soon. 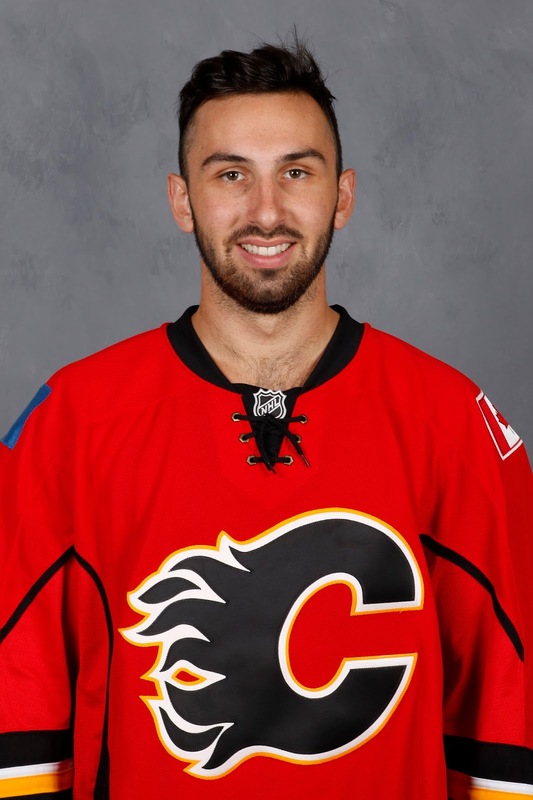 Considering the struggles in the AHL offensively that Klimchuk had and even Austin Carroll also, we'll see how that jump goes as that could tell us a lot. Thanks as always--love reading your work, and "honorable mentions" for your new podcasts (keep them going!!). Mangiapane and Phillips are really intriguing picks, and I'm hopeful they turn out well. Where where a couple places on this list that you struggled with ordering? It seems like #3 and #4 maybe? 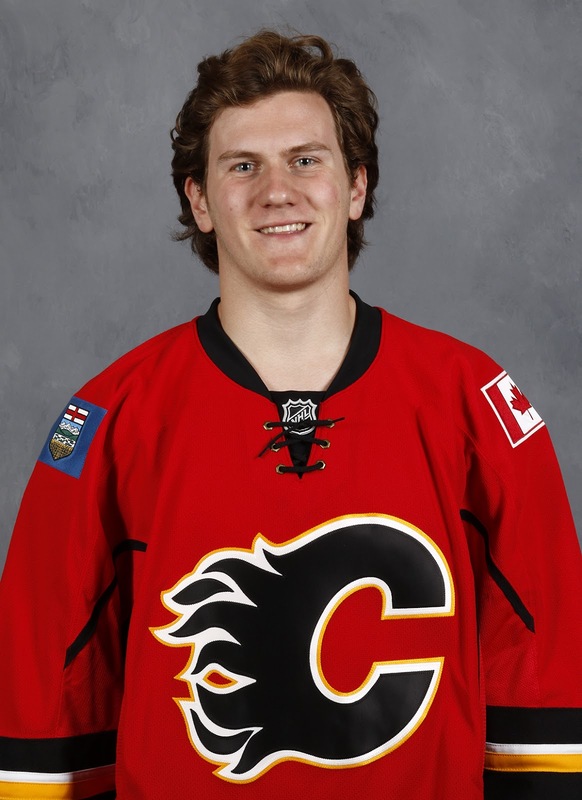 Also, you mention Tkachuk being on (potentially) on the team this coming season. 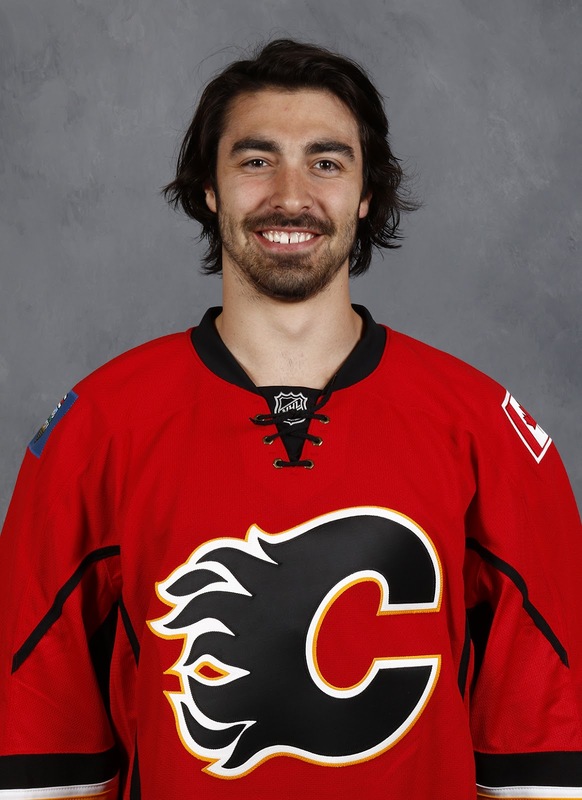 Do you think he'll get the invite for the first nine or less games, to really evaluate his fit (on any line)?? Thanks again, great insight as always. Touched on Phillips above. 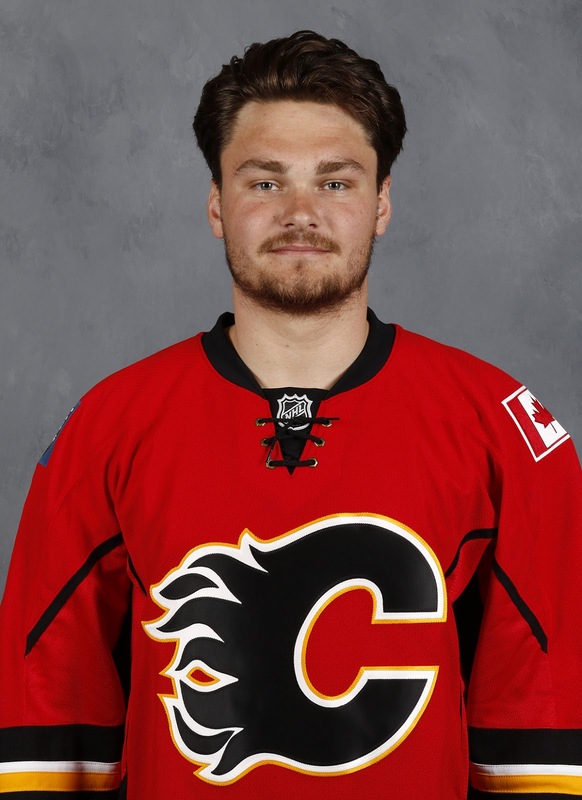 Love the player, not brimming with confidence he will make the NHL due to his size, he makes Gaudreau look like a giant, and can he fight through defence to get to the net, and win puck battles, etc? It's asking a lot and no GMs think he will thrive given he went late in the sixth round. Andersson and Kylington are really close for me. I'm interested to see them on the same team next year as that will help me lean one way or another come January when the mid-season rankings come out. 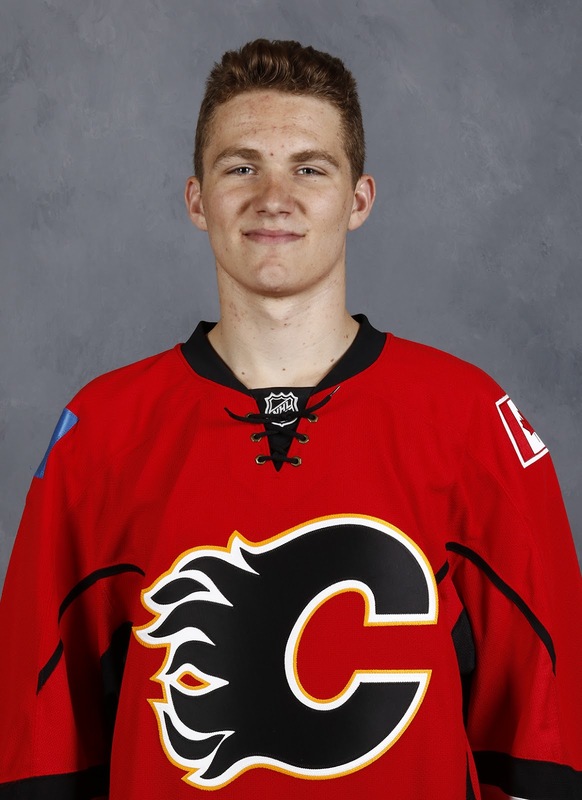 I would be surprised if Tkachuk doesn't get at least a look with Calgary to start the year. 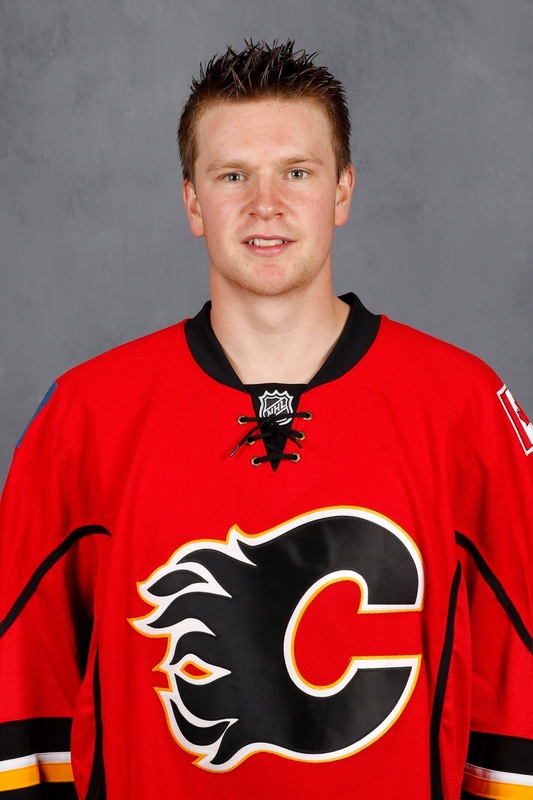 If Vey and Chiasson are playing well and Hathaway has a strong camp, the vets could claim the open jobs, resulting in Tkachuk going back for another year as there is no harm in that. However, it wouldn't surprise me if he gets a few games, is one of the better players, and they just can't take him out again because he quickly becomes a relied-upon player. 3 Goalies rank in the top 20. 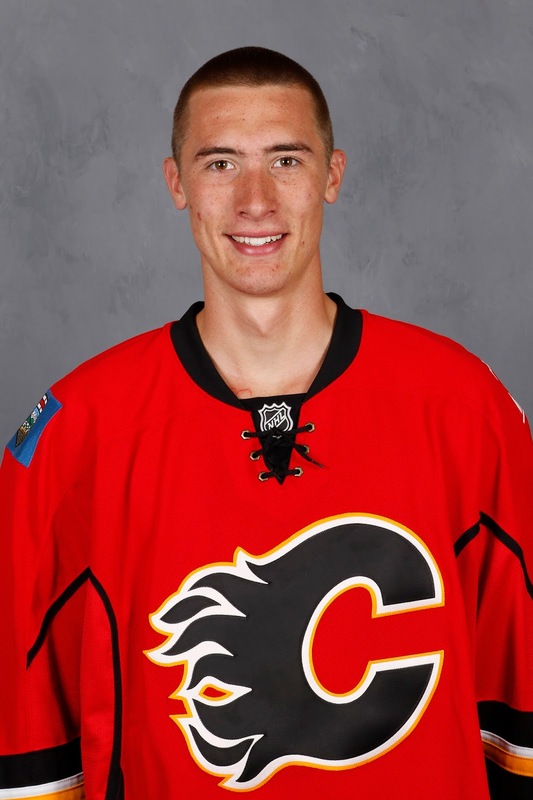 This is an exciting time for Flames fans as it wasn't long ago we had ZERO top Goalie prospects. Can't argue with your choices except one- I'd swap Janko and Shink - Shink is already at the NHL level pretty much. Though if Janko sees a big team game or two they'd likely slot even. Great Job. Thanks for the note. 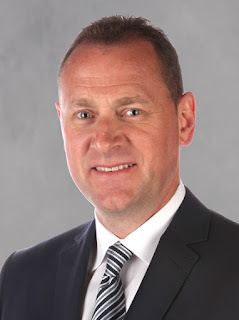 If you heard the broadcast when the list was rolled out with Ryan Pinder on the radio, he disagree strongly with my placement of goalies but again, my philosophy is I go by what they have the potential to do and not just 1-in-a-1000 chance but I also weigh the likeliness that they make it. I understands it's tough to know with goalies but you still can't punish Parsons and rank him 15th, etc. 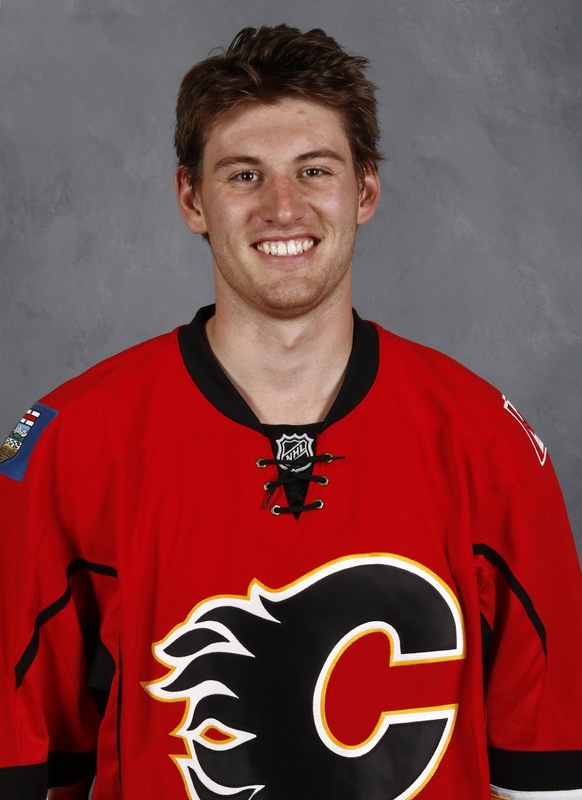 My sense is he was Calgary's top ranked goalie so I need to recognize that. 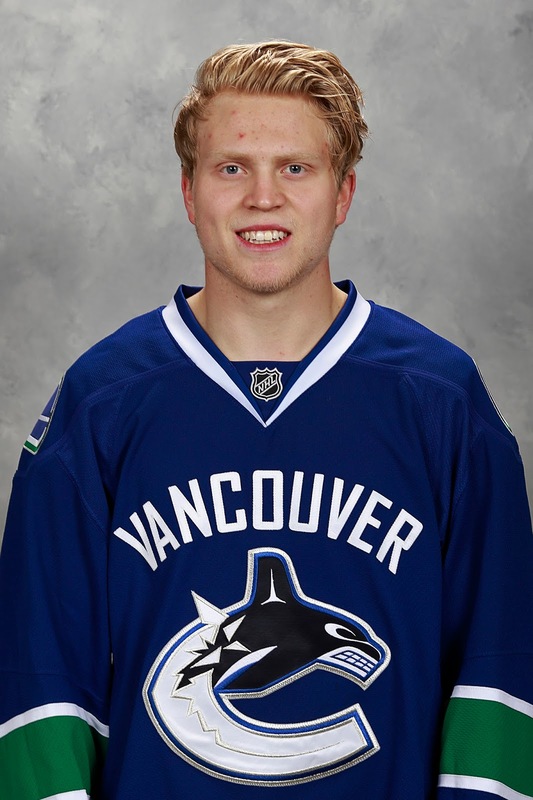 Get a picture of Shinkaruk without that dirty Canucks jersey on. Other than that , love the hockey talk in July . Ha ha. That has been common feedback. The team does these photoshoots in Sept at main camp and at development camp for prospects. 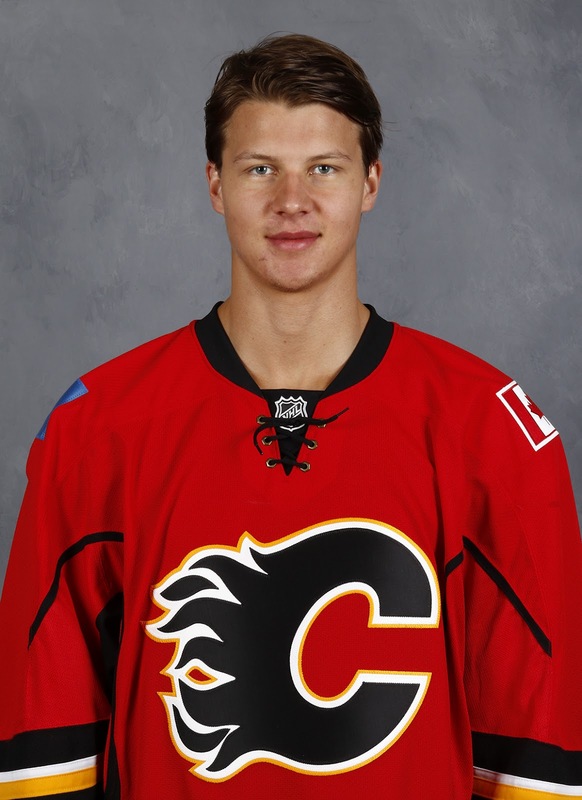 Shinkaruk has not been to either with the Flames yet so a replacement photo is coming, but you'll have to wait until September or October. Just squint your eyes and it's not too bad. I hope you're wearing your seatbelt because I'm going to need you to pump the brakes a bit on the 6th round Finn and I don't want you to fly through the window! 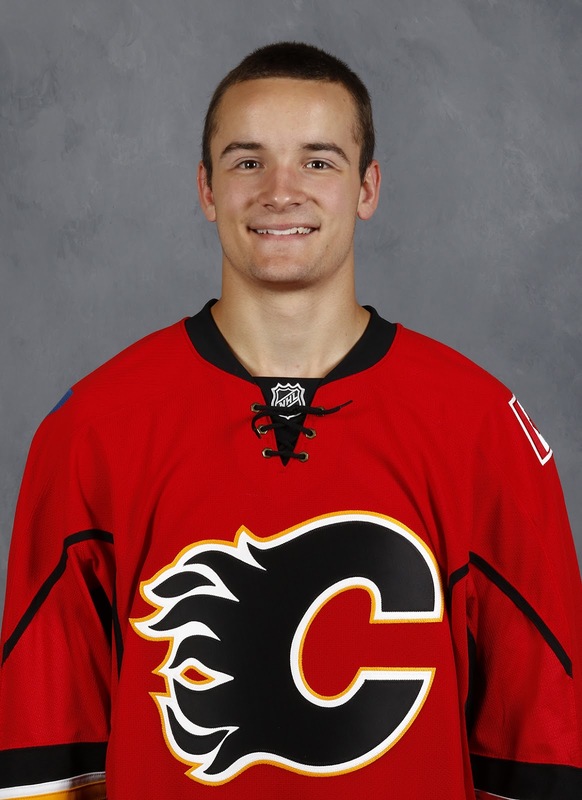 Maybe it will be some 6th round magic for Treliving but I'm going to wait until I see him in 'actual' games in the WHL next year (and in Penticton at rookie tournament) before setting the bar unrealistically high on this guy. But I love your enthusiasm and consider your opinion as "on the record" for future reference. Cheers. Love the summer content, and the pod cast, maybe not so much your chose for co host on the last one. After all I cant speak for everyone, but I’m listening because I value your opinions. I do think you need a co host as it is hard to have a conversation with just one person, but perhaps one with less experience filling air space with empty banter. 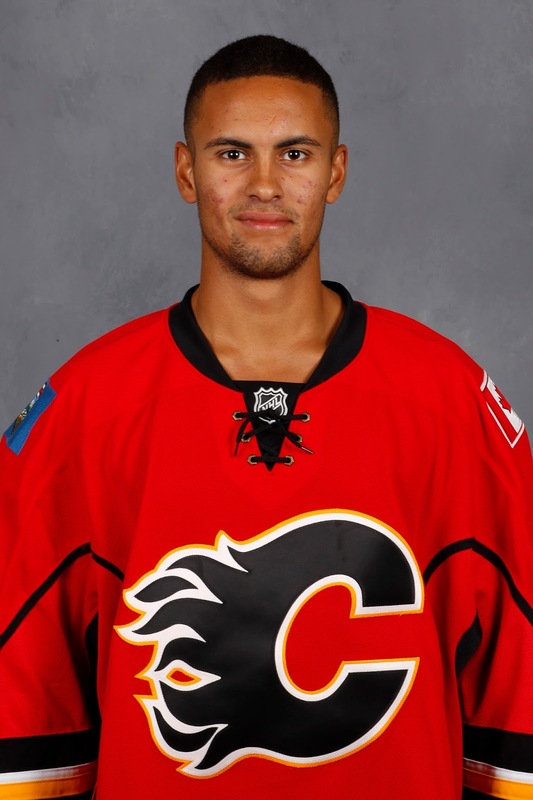 Also may I suggest that as there is less current news at this time of year it would be a perfect time to examine prospects in greater detail not just against others in the Flames system, but as they stack up league wide. It would be interesting to know for example which organization has an abundance of Rws. 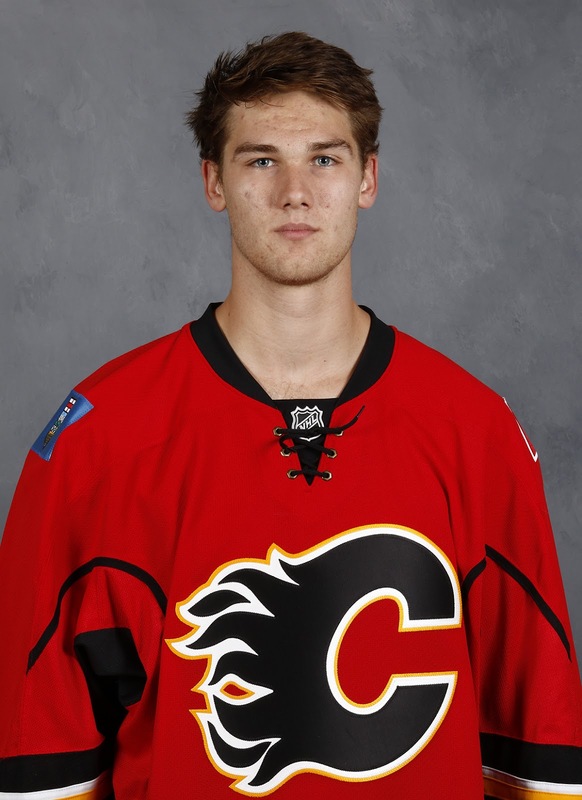 Who has the best prospects at D, and how do the Flames measure up. A bit confused why Brett Pollock didn’t make this list. 72 games 30g and 48a for 78 points. How did Dillion Dube with similar all be it slightly lower numbers rank 11th? Do you see a problem with Pollock? Thx for the help getting through the off season. Thank you. By "last one" are you referring to Pinder on this Top 20 Prospects roll-out 'broadcast' done on Sportsnet960 or with Kerr? Co-host thing is my plan although perhaps not every time. Sometimes, I just want to snap one off on my own timeline and that's easier to arrange, especially in the summer. I'd rather do one solo than go a long period without one, due to unavailability of my preferred co-host, etc. Looking league-wide at prospects in other organization is a great idea but to be honest, I'd be lying if I knew the prospect bases for the other 29 teams nearly as well as Calgary. That's just not my focus. I could pour time into that to be able to speak comparatively on a league-wide basis but my audience is (mostly) very Flames-centric so not sure if that investment of time would be worth it. Interesting idea though. 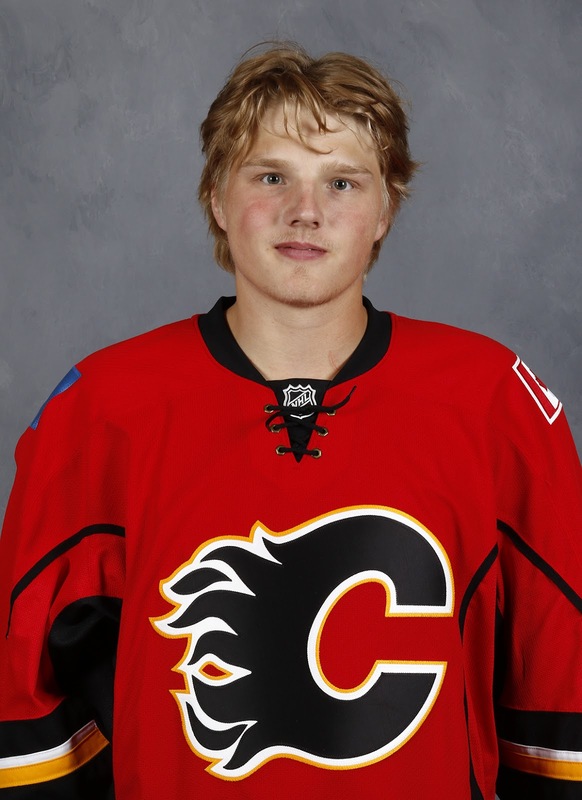 As for Pollock, my sense just from discussions I've had is that he isn't regarded as a high-end prospect, which is why he was included in a deal for a rental of Kris Russell alongside a potential 1st round draft pick and an established NHLer in Jokipakka. If he was an 'A' prospect, he's not in that deal. For me, I'd like to see him in the organization more. 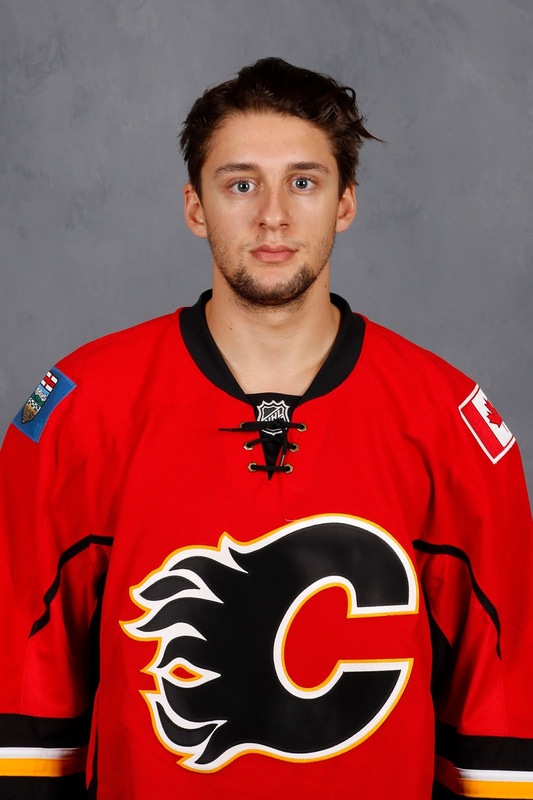 Penticton will be a nice opportunity to view him in game situations. There are attributes one should like but like Hunter Smith, also a second round pick, my gut for now is that there others with higher upside including Dube. But six months from now when I update the list, we'll see where he lands. Cheers. 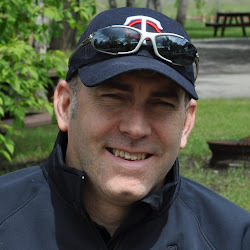 Hi Darren I was referring to the show you did with Rob Kerr. Different combinations of people seem to work to different effect. I enjoy Kerr with Boomer, they work well off one another. I enjoy your conversations with Pinder, but you, and Rob didn’t seem to have a great flow. Thx for the input on Pollock; its difficult to know where a player ranks just looking at the stats, and I did think we robbed Dallas in that trade. So I was left wondering. It's such a subjective thing. Others thought it went great. I've known Rob for years and thought it was fine and while we haven't done much on-air, I think chemistry comes with familiarity. Kerr and Boomer used to work together. Anyway, good feedback, thanks again.